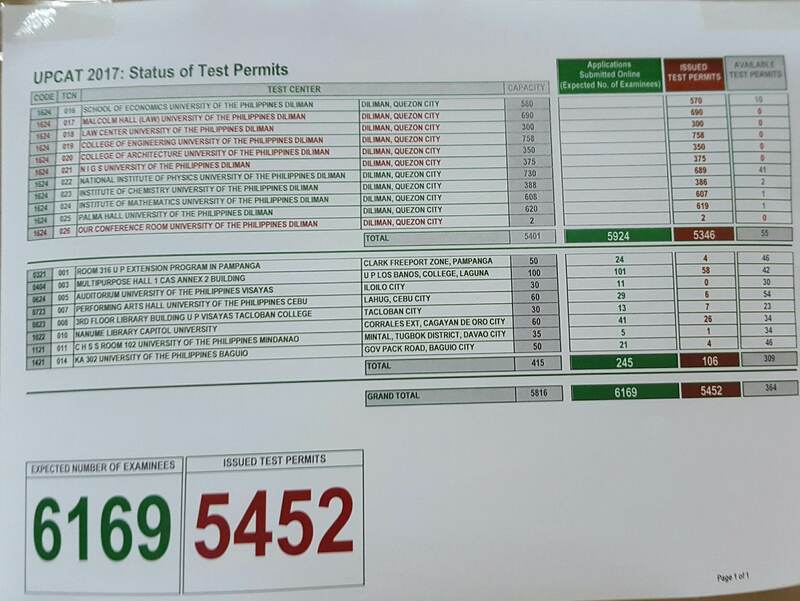 As the UPCAT day is fast approaching, the University of the Philippines has released the status of test permits. 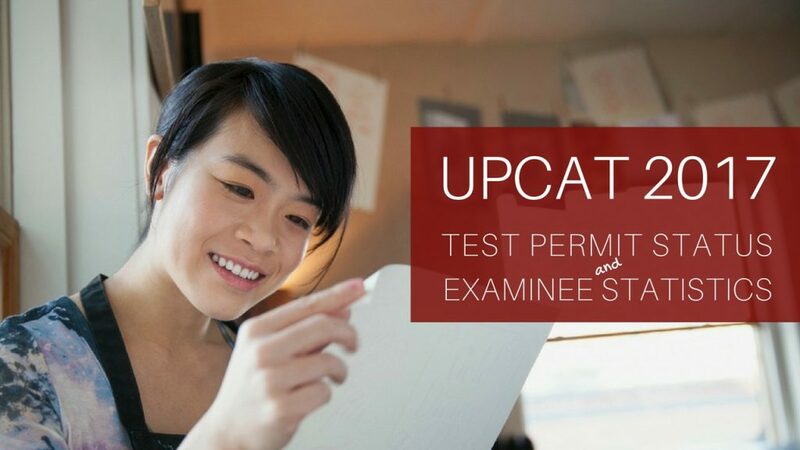 Also, the university has also announced some relevant statictics such as the number of issued test permits and the number of expected test takers. Based on these numbers, the examinees for this year is significantly lower than the number of test takers prior to 2015, which range from 60,000 to 80,000 students. This is due the implementation of the K to 12 program by the government. The number of examinees is expected to increase again next year, 2017, for UPCAT 2018. To all the test takers… good luck and God bless! Hello po maam ,kelan po ang next na entrance exam ng UP?di po kse ako nkaabot sa UPCAT.pls reply po.gstong gsto ko po makapasok ng accountancy sa UP.thank you po sa answer. Hi Jolina! What grade level are you in? The next UPCAT is scheduled next year 2017. The exam is administered in September every year. May anak po na grade 11 sa ngayon.Ask ko lang po kung kelan ba dapat sila pwede mag review and kelan po pwede mag apply for examination sa UPCAT. The best time to start their preparation, in my opinion, is during their Grade 11. Usually, we have the classroom review session in May in preparation for the exam on September. Ang application naman po ay tuwing July. Hi, what about the Senior High Students na gusto magcollege sa UP? Next year pa ba kami dapat magreview? 🙂 Hopefully masagot yung tanong ko. Thankyou. Godbless. What year are you in? You must schedule your review before you enter Grade 12 to better prepare for the UPCAT. hello po.ilang po dapat ang erquired na grade para maka take ng exam. There’s no grade requirement to take the UPCAT. Hello, I am an incoming Grade 12 student and I’m interested in availing your UPCAT Success System. Do you have a review venue in Davao? My sister is incoming grade 12 and she is interested to avail your UPCAT review program. Kelan po sya dapat magstart magreview? Thank you! meron po bang Test for SHS sa UP? Good day! I am from Palawan mam/sir and our batch wants to take UPCAT examination. Where is the regional center here in Palawan mam/sir? And who is/are in -charge? Thank you po. Our students had already received a confirmation that their application for UPCAT is already approved, but until now I have not yet receive their test permit, I sent their application through mail,so most probably, their test permit will also be received through mail?thank you and godbless. I sent my application through online and it was approved already.. But i dont have received the test permit yet.. it will be sent through email probably? or how can i avail my test permit? The UPCAT is administered once a year (every October). Application start sometime in June-July. Do you have review center at Binan or San Pedro Laguna? Yes, we do have a San Pedro/Binan venue. Please contact our branch there to reserve your slot.